50% psychologist. 50% programmer. 100% happiness engineer. Founded the Stanford Robotics Club (SRC) after arriving on campus, leading Outreach team responsible for networking with potential sponsors, school administration and faculty, and organizing community events to reach out to K-12 students in the San Francisco Bay Area. Raised over $50,000 in the first year after becoming an official Stanford-associated group in Autumn 2012. Demonstrated as a Maker at 2013 and 2014 Bay Area Maker Faire. Served as the Tournament Director of the 2013 Stanford First Lego League Regional Qualifier. Speaking at our first official kickoff event after acquiring club status in December 2012. Checking out other exhibits at the Bay Area Maker Faire in 2013, where we showcased our RoboCup and Lunabotics robots. 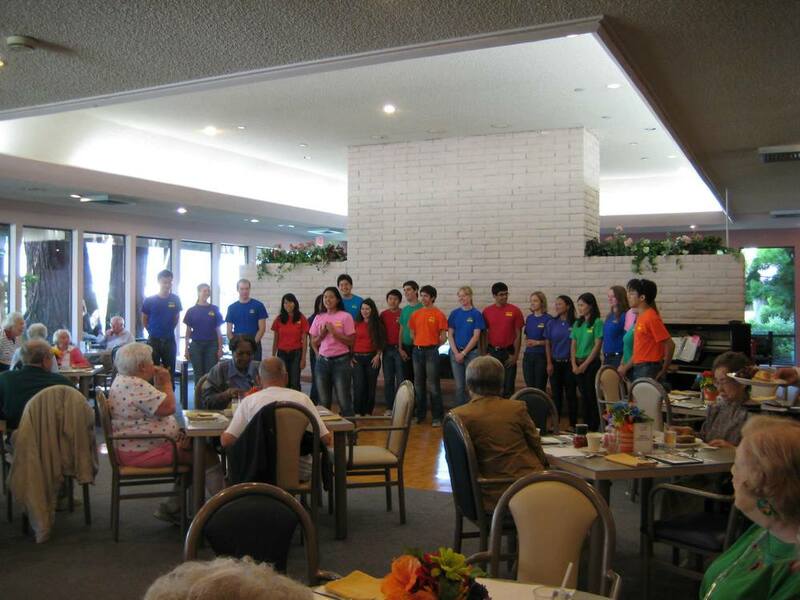 Helped lead Side by Side, a community service singing group that performs music exclusively from the 1920s to the 1960s for elderly nursing homes and senior residences in the Bay Area. We hope that the music from their era will bring back fond memories and have a therapeutic effect, improving their quality of life and reminding them that they are young at heart. We have performed as far north as Sacramento and as far south as Saratoga. I've planned event logistics and community-building activities to bring the group together, which is essential for delivering enjoyable musical experiences. I manage the club's budgeting and finances and am responsible for securing funds for sheet music, transportation, and publicity materials. Volunteered at the airport, becoming the youngest volunteer ever certified with security clearance at 16. Manned the information booths and escorted passengers when necessary. Eventually stepped up into my own niche volunteer role (inspired by Tom Hanks' character in The Terminal) at the international concourse where I could communicate with many foreign travelers because I am fluent in both English and Mandarin Chinese.